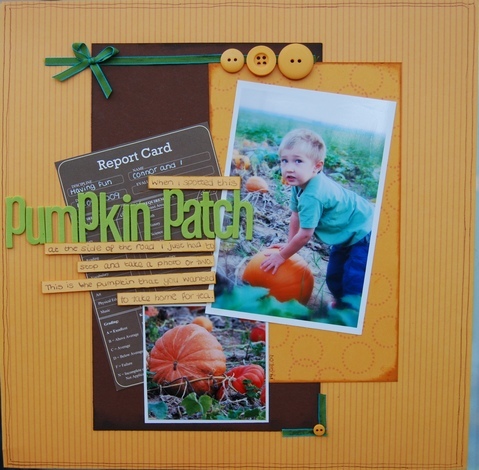 WEEK THIRTY-NINE :: SCRAP IN AUTUMN COLOURS! Upload your page to the SLYMI Reboot gallery, marking it for Week 39 (or Wk39 or #39, but please have a 39 in there somewhere). See how others have used the palette while you're there - and spread some comment lurve! Happy Monday Rebooters - get your scrap on! So this is my take on a slightly alternative autumn colour scheme, lots of gold instead of brown, with a little bit of burlap and woodgrain thrown in for good measure. I am told with confidence that the roses on my layout are late summer roses which flower well into Autumn - that's good enough for me!! a very old photo of my DD that I found when clearing out my spare bedroom. With all the leaf raking we've been doing recently this was a great theme for this photo.